South Sydney Rabbitohs made it two wins from two under Wayne Bennett after five second-half tries helped secure a 34-18 victory over St George Illawarra Dragons on Thursday. Having beaten Sydney Roosters, the defending champions, last week, the Bunnies were in scintillating form once again as they made it nine wins in their last 11 meetings with the Dragons. The Dragons started stronger and were 12-6 ahead at half-time, a double from Jordan Pereira cancelling out Cameron Murray's early score for the Rabbitohs. 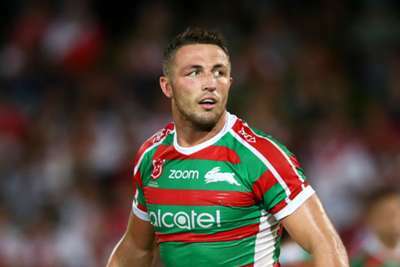 Any momentum the Dragons will have hoped to have taken into the second period was quickly ended, though, as Sam Burgess led a flurry of tries for the Bunnies. They piled on 28 unanswered points after the restart, Burgess crossing twice either side of scores from Cody Walker, Braidon Burns and Campbell Graham – Adam Reynolds adding four conversions. Timoteo Lafai dotted down to give the home side a late consolation but the Rabbitohs' blitz was enough to secure the 1100th win in their history. History made. Our 1100th WIN.